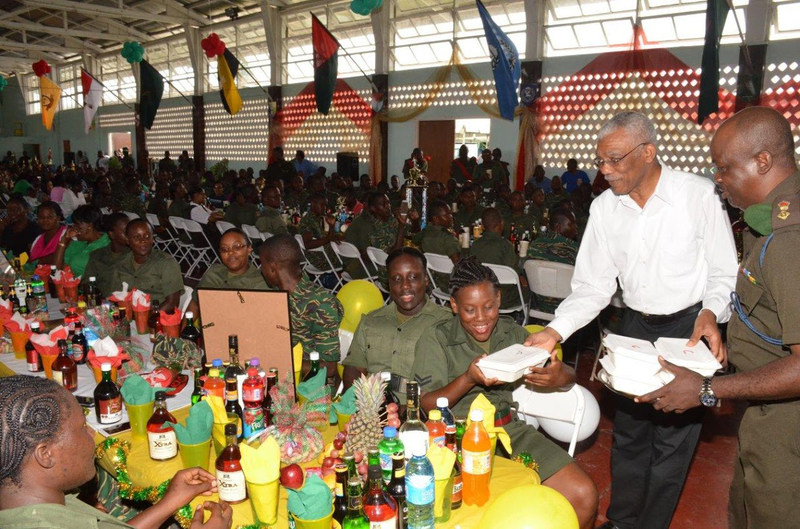 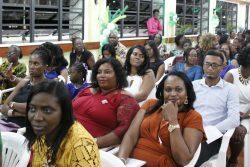 President David Granger, today, thanked the members of the Guyana Defence Force (GDF) for their service to the nation, on behalf of all Guyanese. 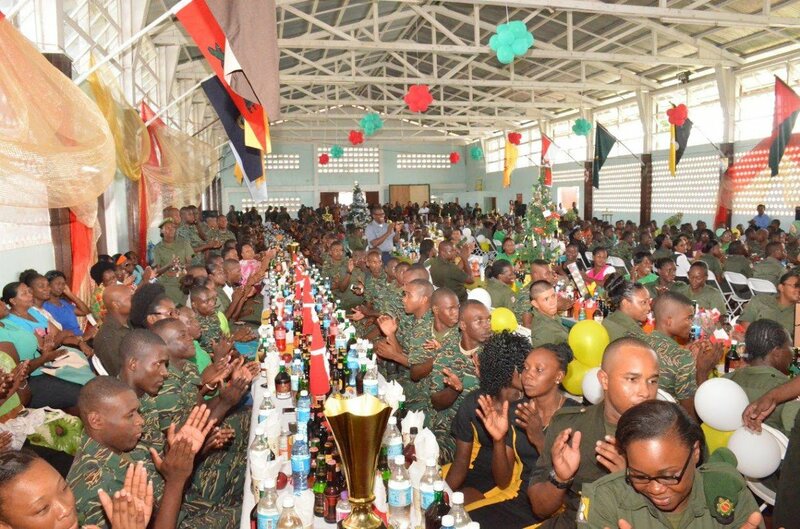 The President, was at the time, speaking at the GDF Headquarters, Base Camp Ayanganna, where officers and ranks were gathered for their Christmas lunch, a release from the Ministry of the Presidency said. 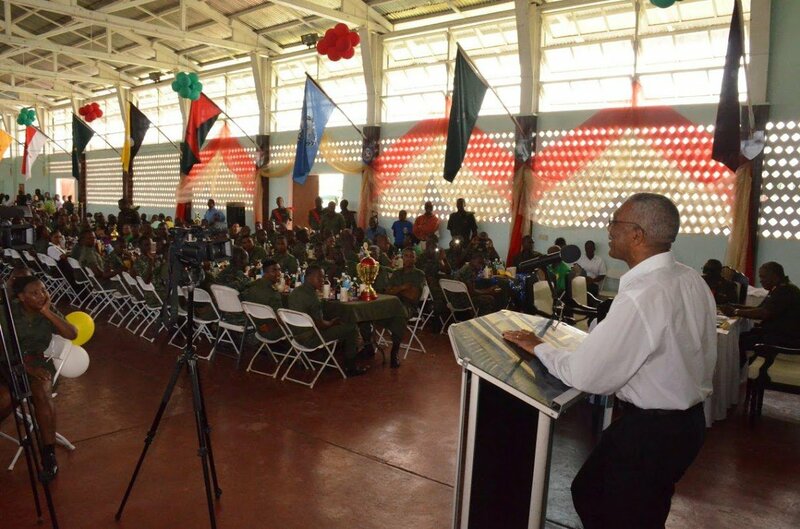 President David Granger speaking at Base Camp Ayanganna's Christmas Lunch today.